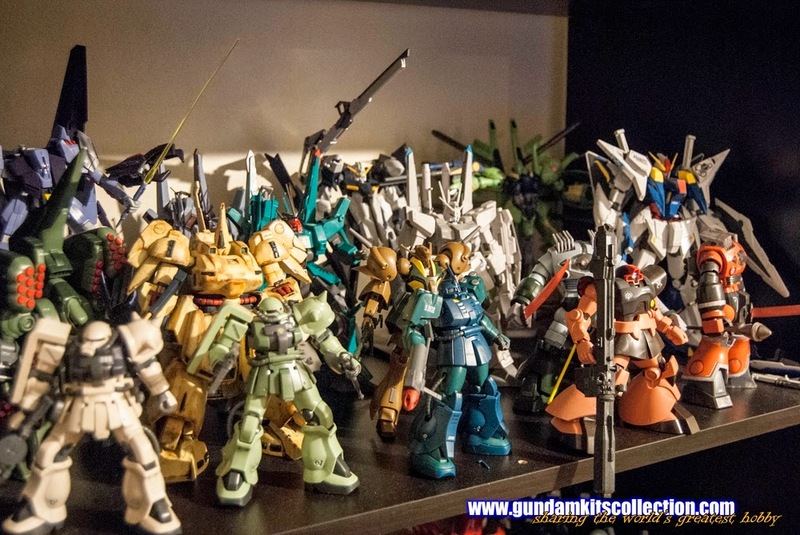 Here's a gallery of my entire collection. 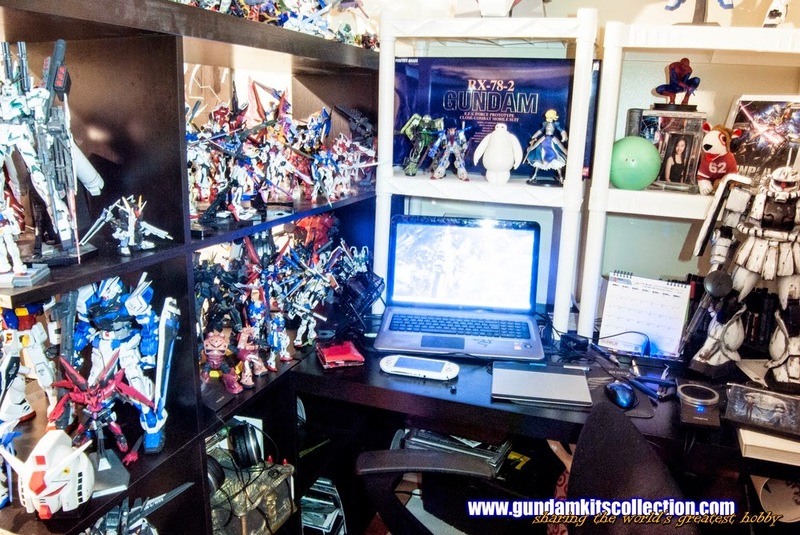 I've assembled a room just for my GunPla and video games. 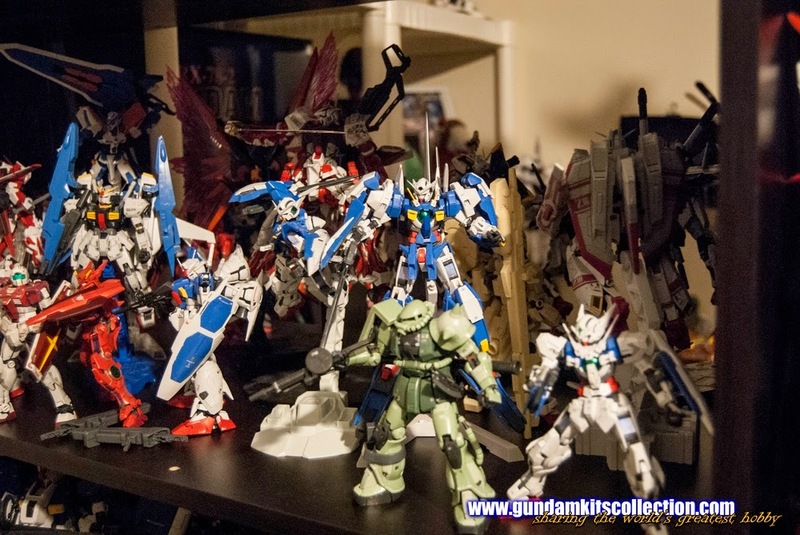 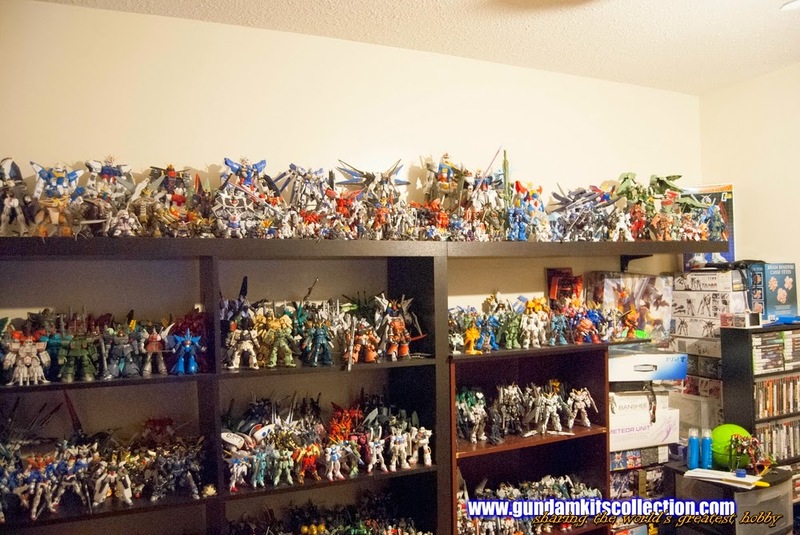 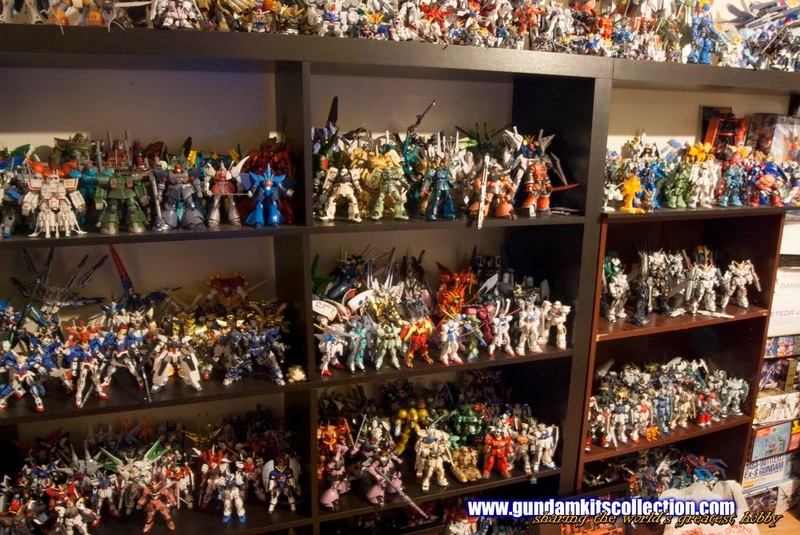 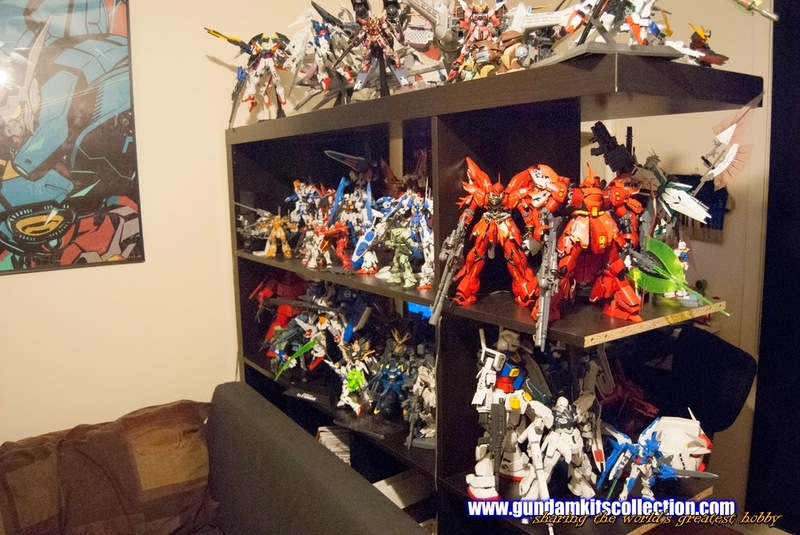 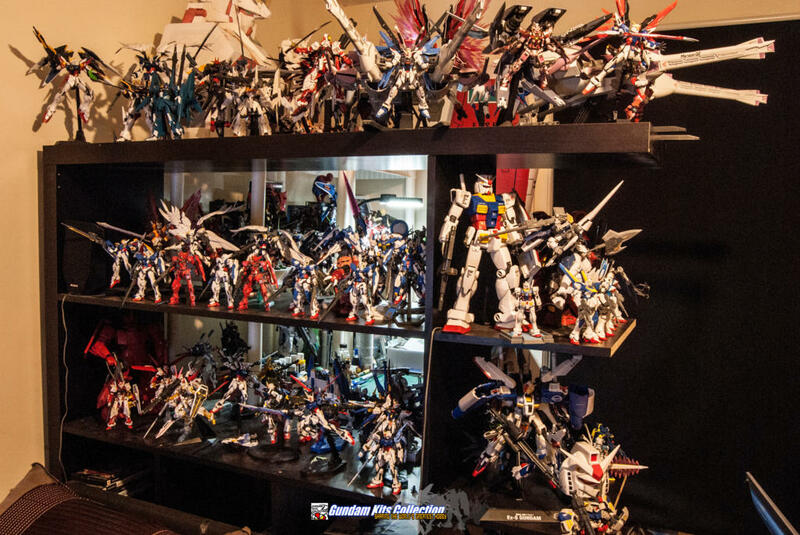 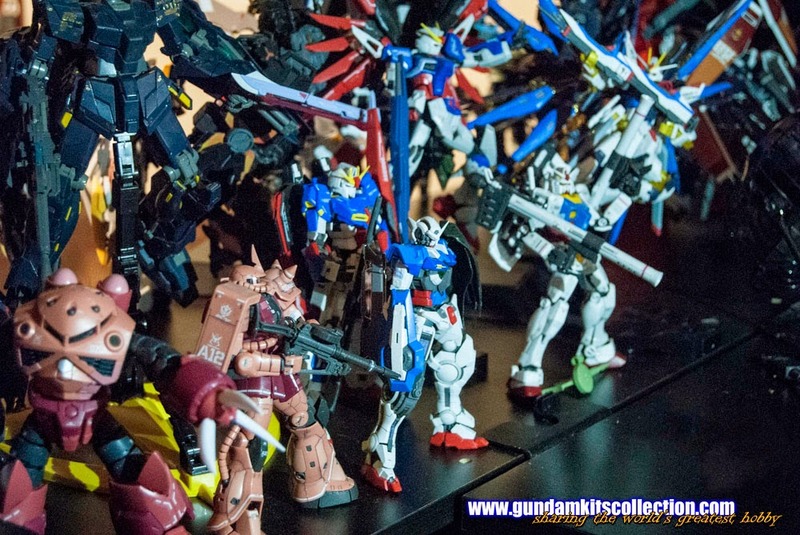 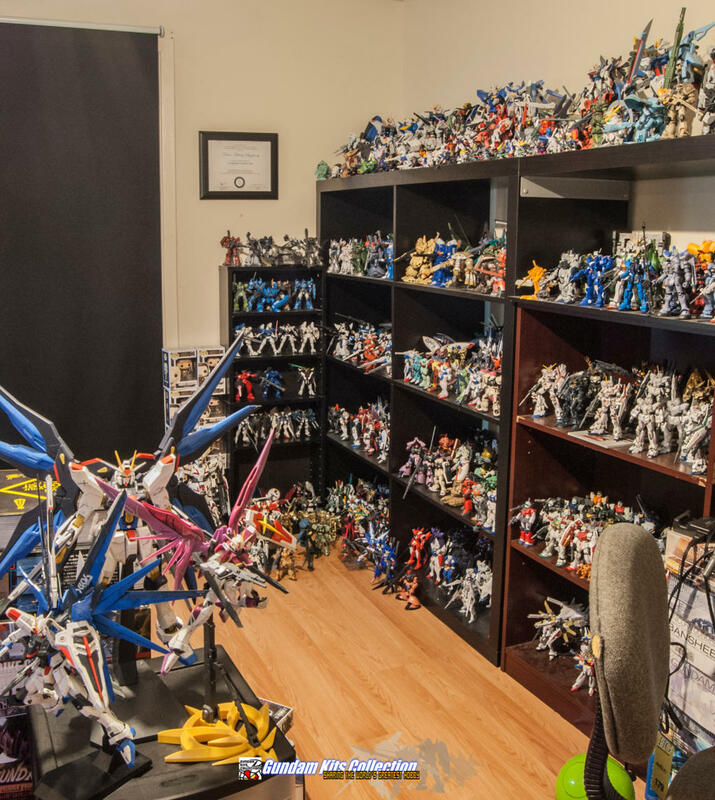 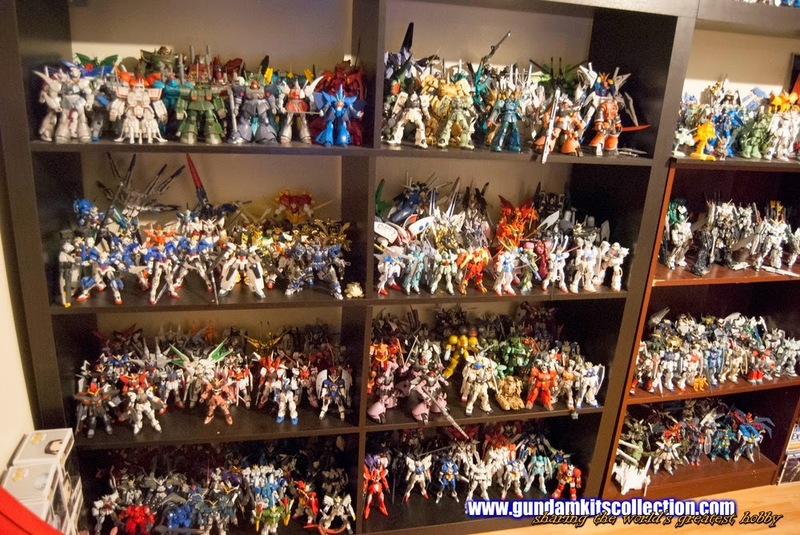 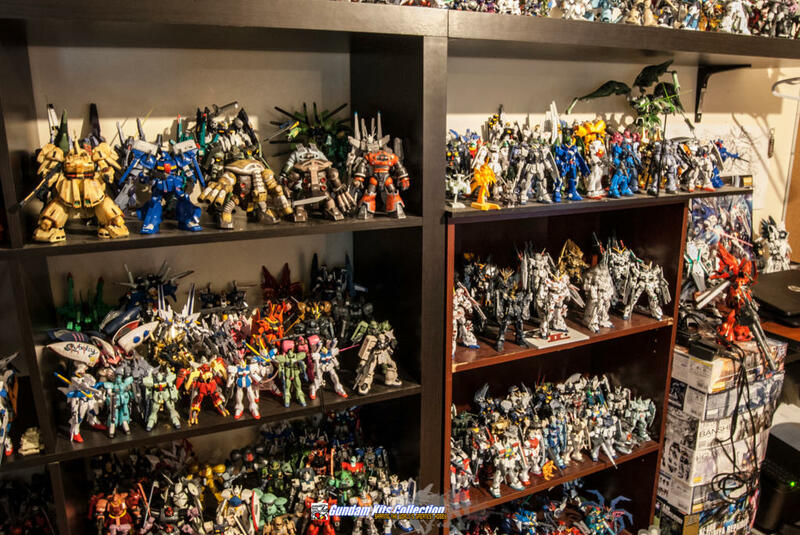 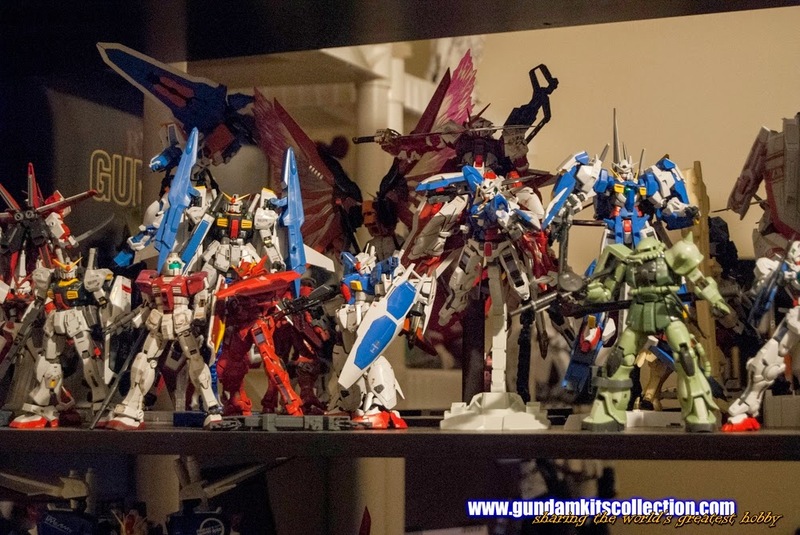 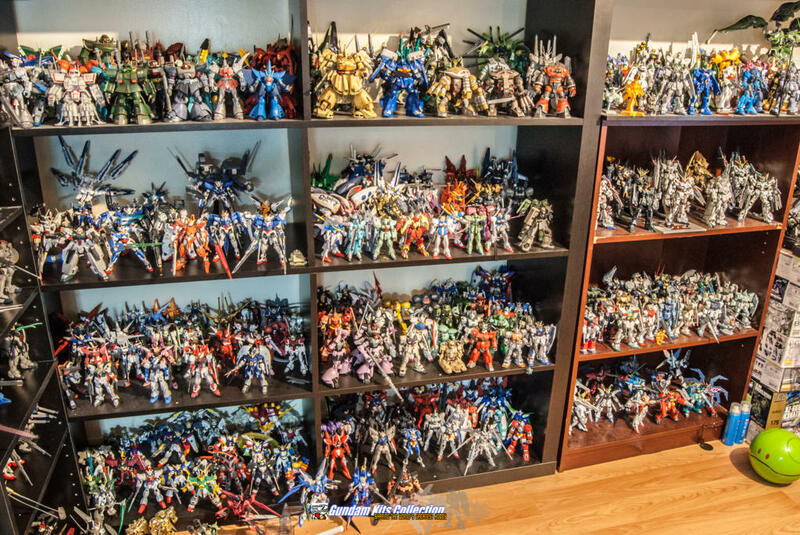 I am still trying to find more decent shelving for my GunPla because they are already getting crowded. 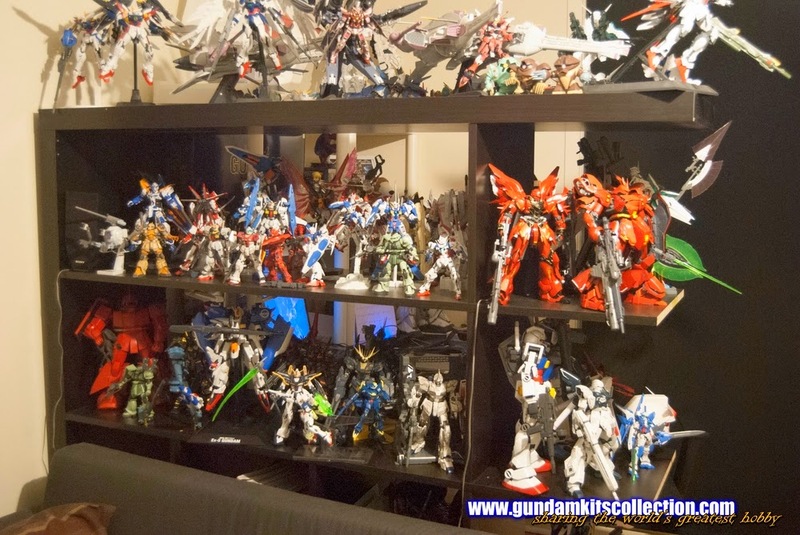 I want to set it up on a bigger room but I don't currently have the budget for that. 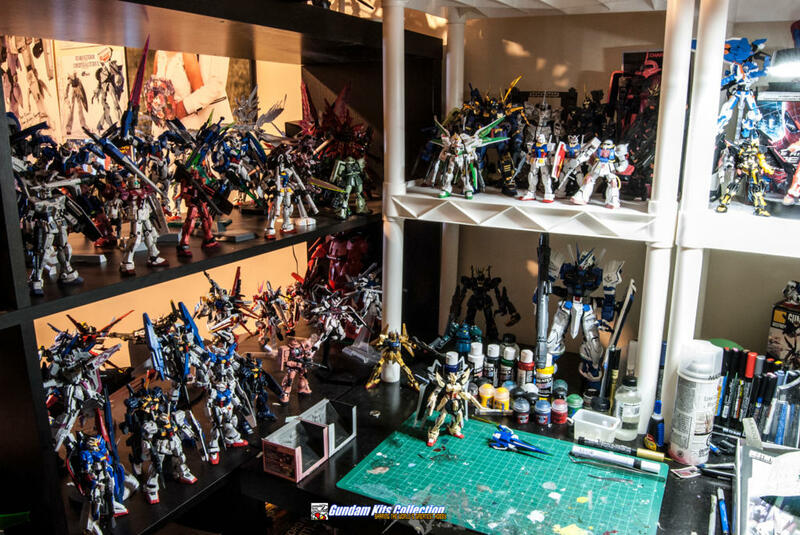 As many of you guys were asking me. 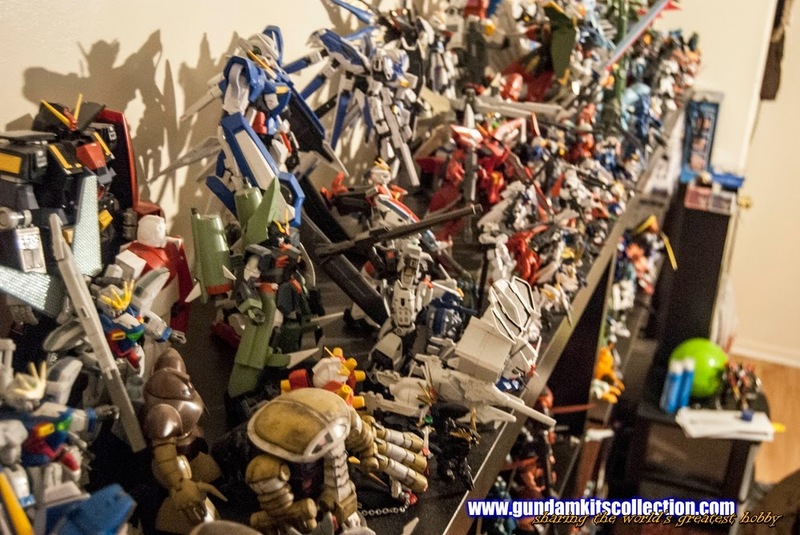 I clean the shelves every six months and wipe each gunpla with a very soft cloth. 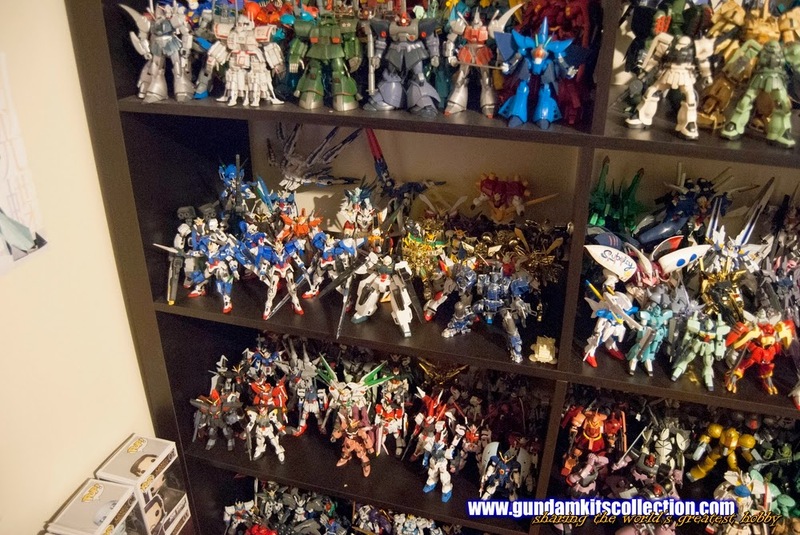 But then again, the room is almost dust free so I don't spend too much time cleaning them up. 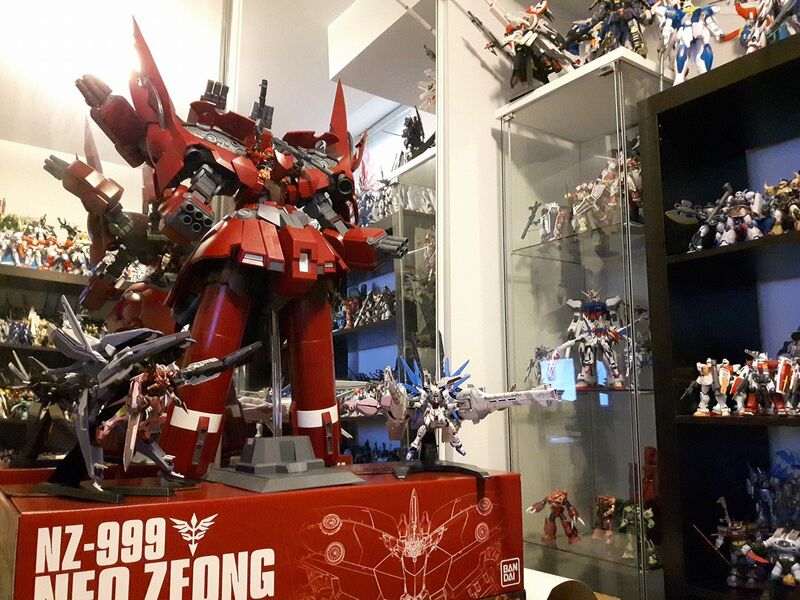 Real Grades are my favorite, so I have set up a shelf just for them and for my other favorite kits like MG Sazabi and Sinanju. 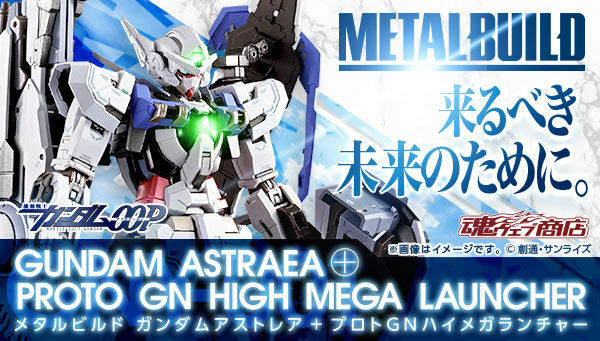 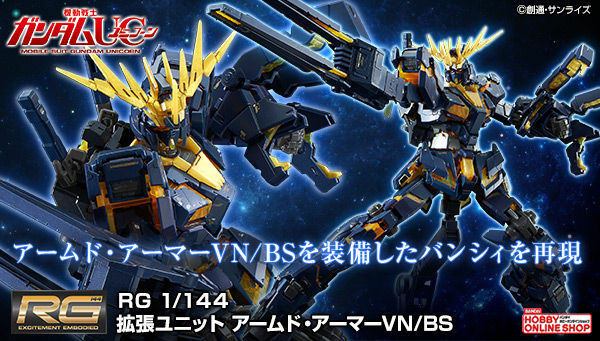 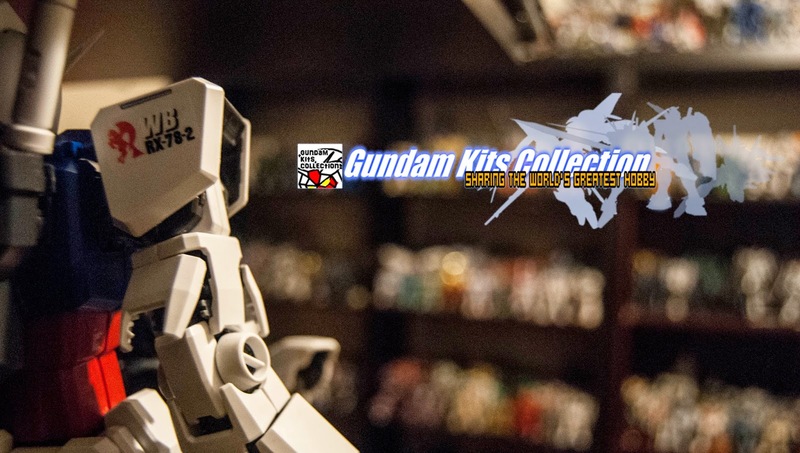 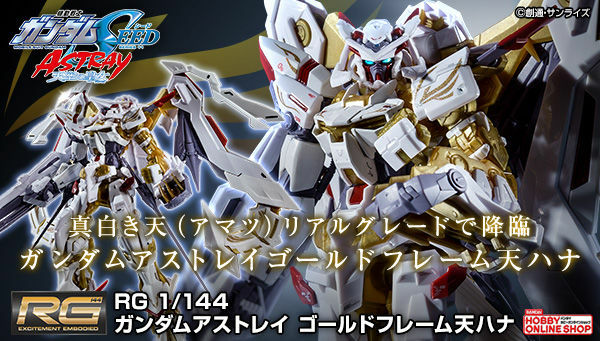 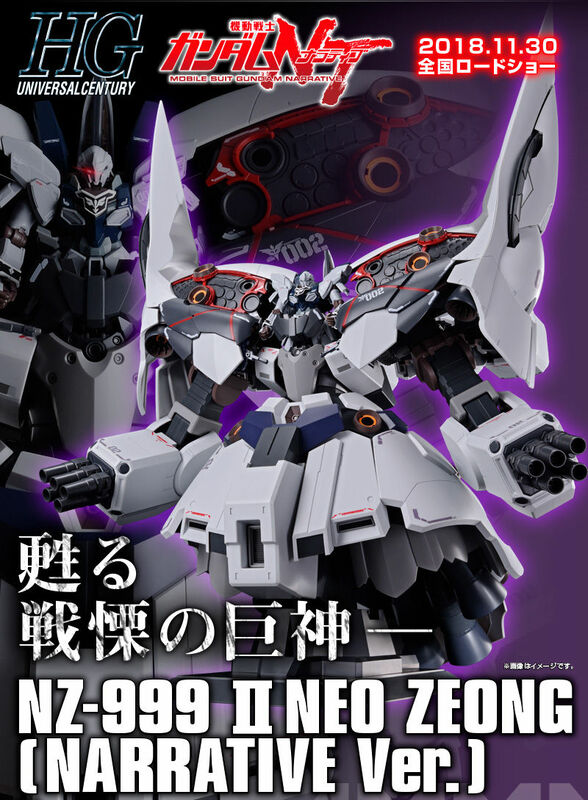 I feel like I wanna get more RG kits of the same kind to explore their variations, which I already did to Gundam Exia. 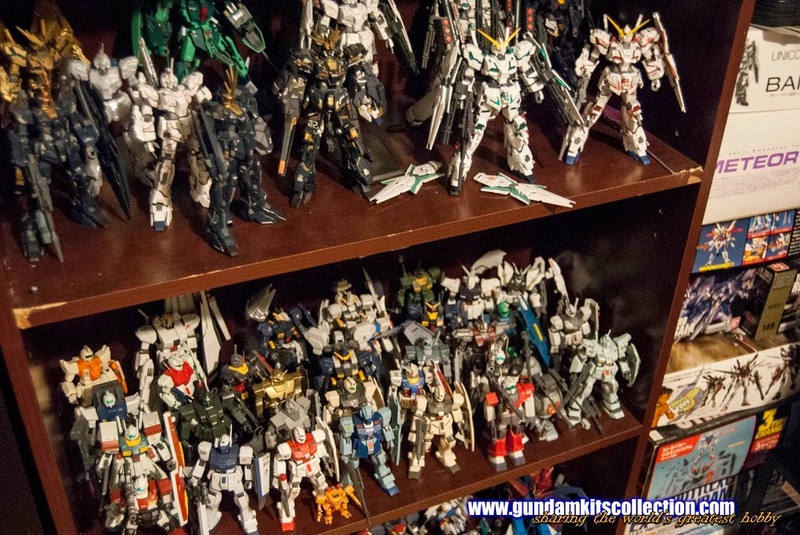 Some of the vintage kits to the left of the shelf and HGUC kits to the right side. 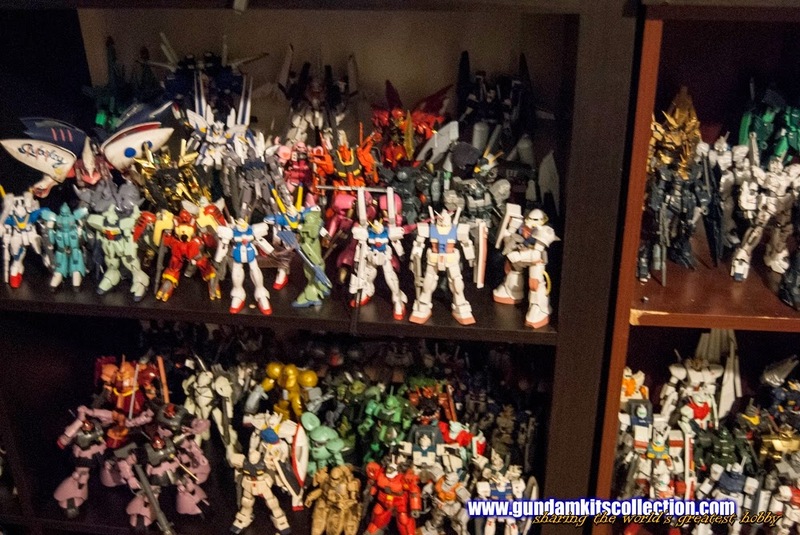 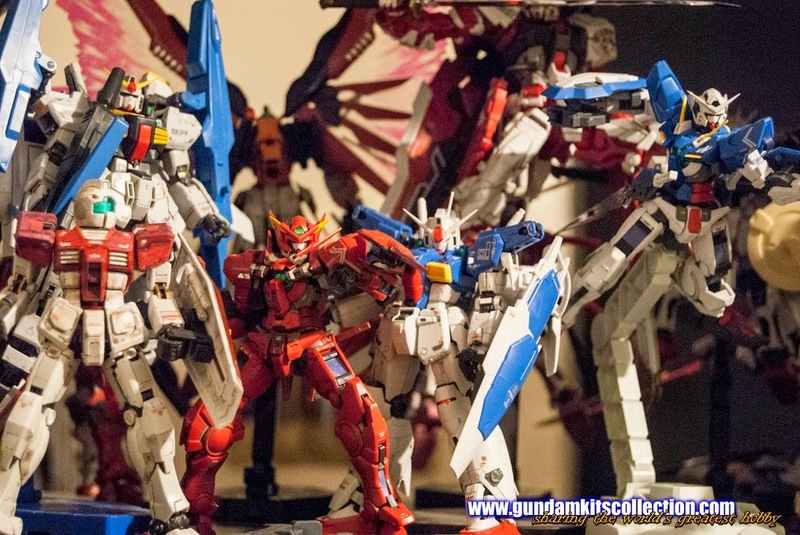 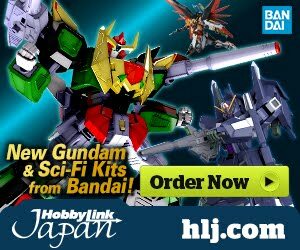 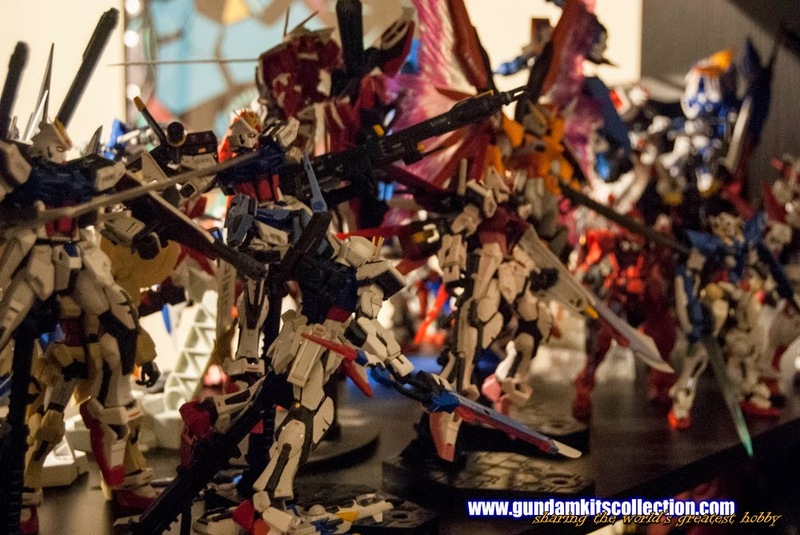 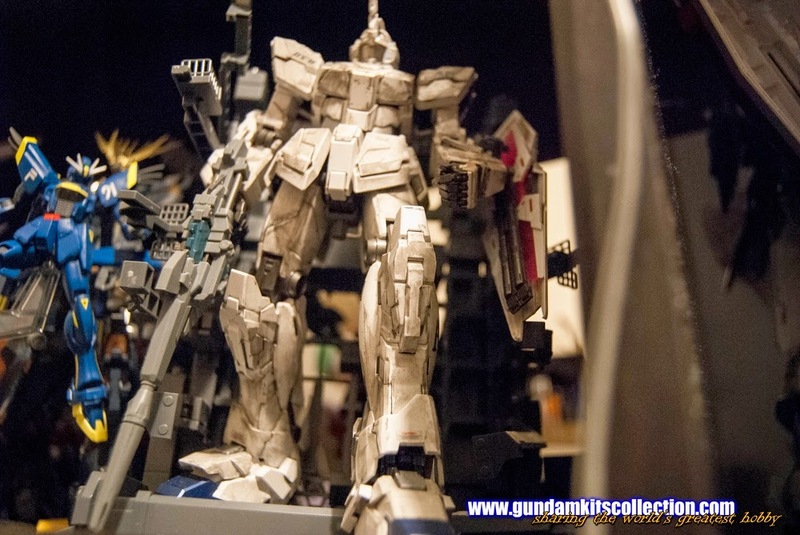 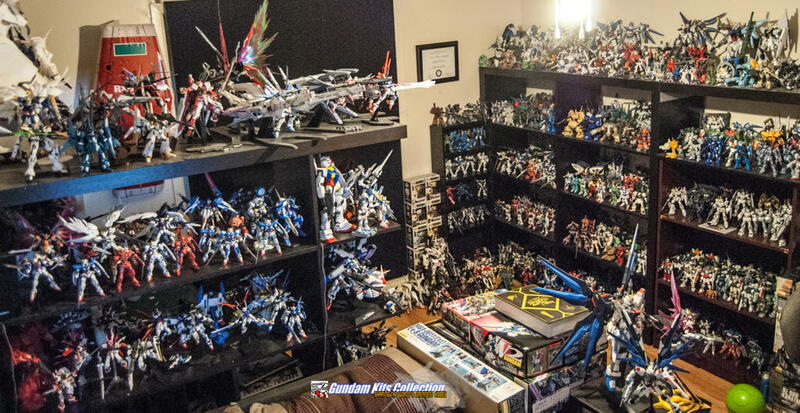 Kinda mixed with FG and HG Gundam SEED/ Destiny kits below the shelving and Wing Gundam series kits under it.